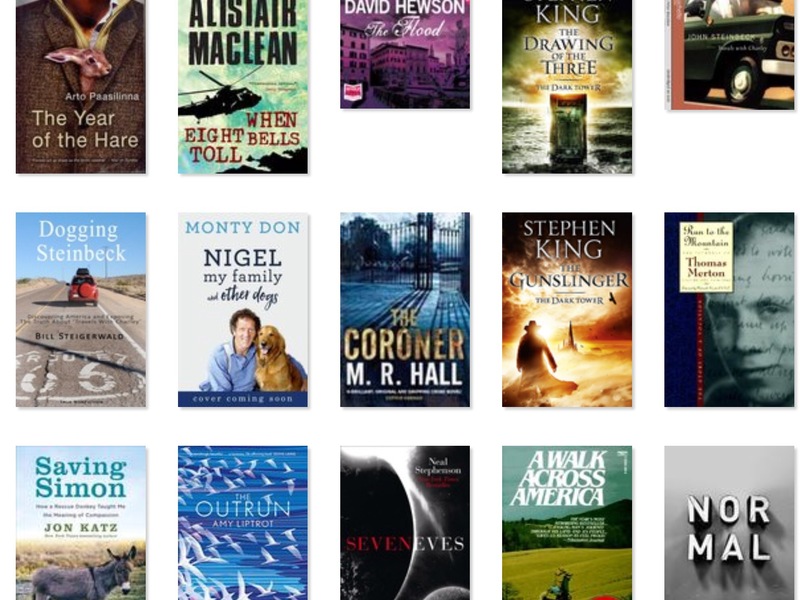 According to GoodReads, I’ve read 52 books this year, I might get another one or two in before the end of the year, and I’d argue that some are a bit short to really be books in their own right. There were a couple of audiobooks in there and Warren Ellis’s “Normal” was really a book in four parts, but they’ve been listed individually. It was though one of my favourites of the year as a whole. The counter gets reset to zero on January first, and my TBR pile will probably be larger than ever but there are a couple of books I’m looking forward to reading. David Quammen’s “Yellowstone“, “Pathlands” by Peter Owen-Jones and “Spaceman” by Mike Massimino. Are there any books you’re looking forward to reading in the near future? This entry was posted in books, Life and tagged books, GoodReads, post a day. Bookmark the permalink. That’s wonderful, Alan! Janice is the reader in the family. I enjoy reading, but I do it in small amounts. It takes me a little while to finish a novel. Janice, on the other hand, “devours” a book in just a few days. A short time ago, we were at a book sale and found a collection of vintage “Nancy Drew Mystery” books. Janice used to read these as a child, so we picked up what was there and she’s in the process of reading them (she’s on her fourth book, of the thirteen we found). We also found a large collection of “The Executioner”. So, we picked them up, also, and I’ll start reading them over the slower, winter months (hopefully). I also have a growing collection of Reader’s Digest condensed books, which I’d like to read through some day. We don’t have – or watch – T.V. anymore, so these will provide us with some entertainment during the long(er) evening hours. Hi David, I do most of my reading in the evenings too. Although we do watch tv, there’s not much on it seems. I’m familiar with Nancy Drew, although I was more of a Hardy Boys fan, and the Willard Price “Adventure” series as a boy. I’ve never heard of The Executioner books, so I’ll keep an eye out for those.